Need residential or business maintenance? 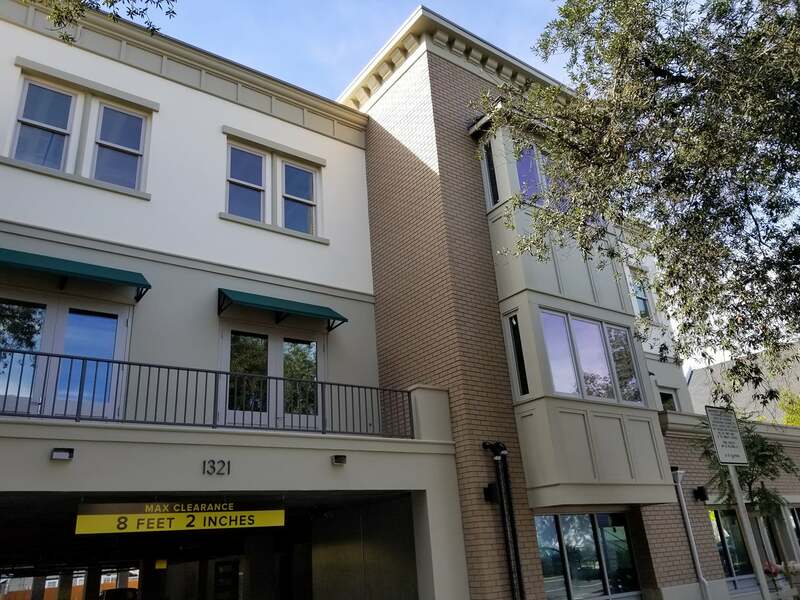 We offer a complete line of business and residential maintenance services. Click on any of our services below for quick navigation. Regular maintenance allows you to enjoy your beautiful view by removing dirt, grime, finger prints and, most importantly, water spots that can become etched into the window. We use a 3-step filter process, finishing with spot free deionized water. Regularly maintain your home, business or other structure with pressure washing. Mold prevention is a primary concern in our area where damp weather mixes with dirt, sand, bird droppings and other contaminants. Not only will regular maintenance remove build-up, mold and allergens before they become a serious problem, but it will also increase the value of your property and the longevity of your paint, oil or stain. 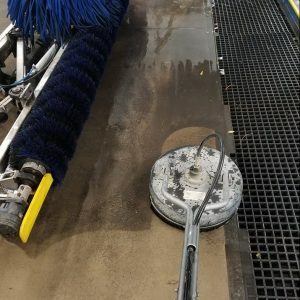 Pressure washing can make materials look shiny and new again! 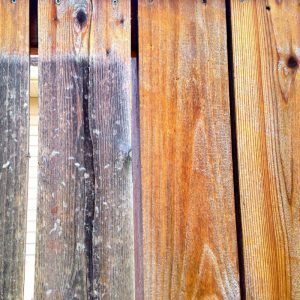 We can help you restore old or neglected fences, gutters, barns, windmills, garage doors and floors, driveways, sidewalks, porches, mobile homes, RVs… almost anything! Pressure washing is also the best way to prepare a surface for repainting or staining. 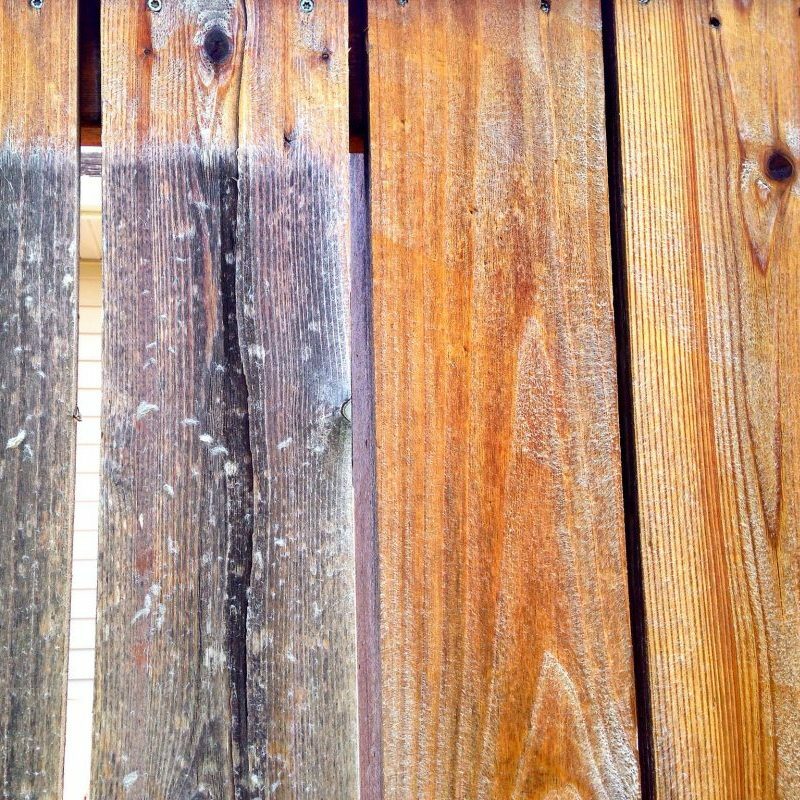 Give your weathered fence, deck or other wood structure it’s warm glow again. 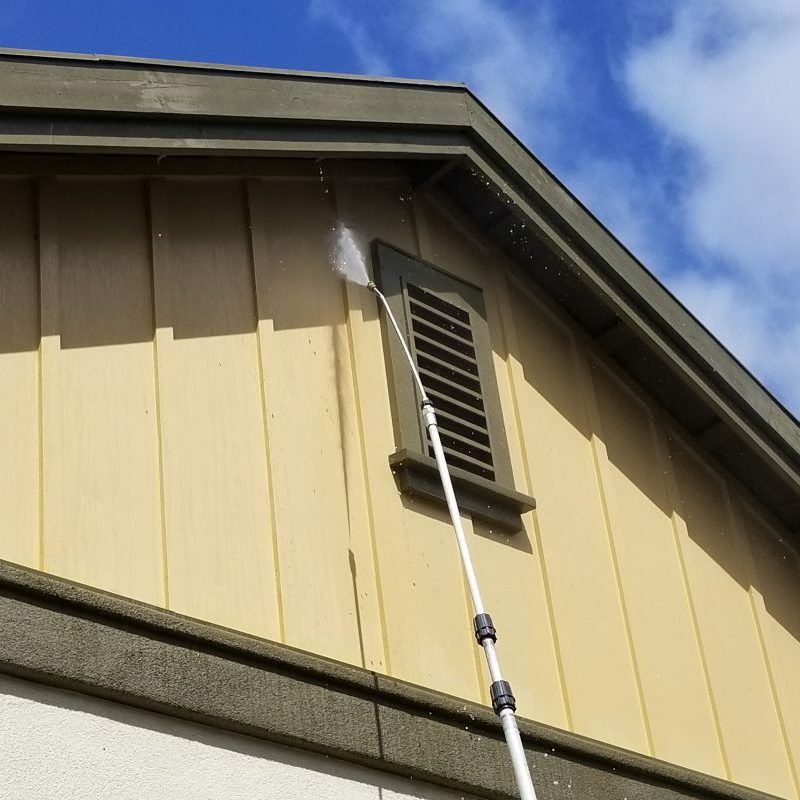 We can power wash the thin layer of aged wood cells away to expose a fresh layer of wood, then apply exterior wood oil stain to preserve and protect the wood, prolonging the life of your structure. 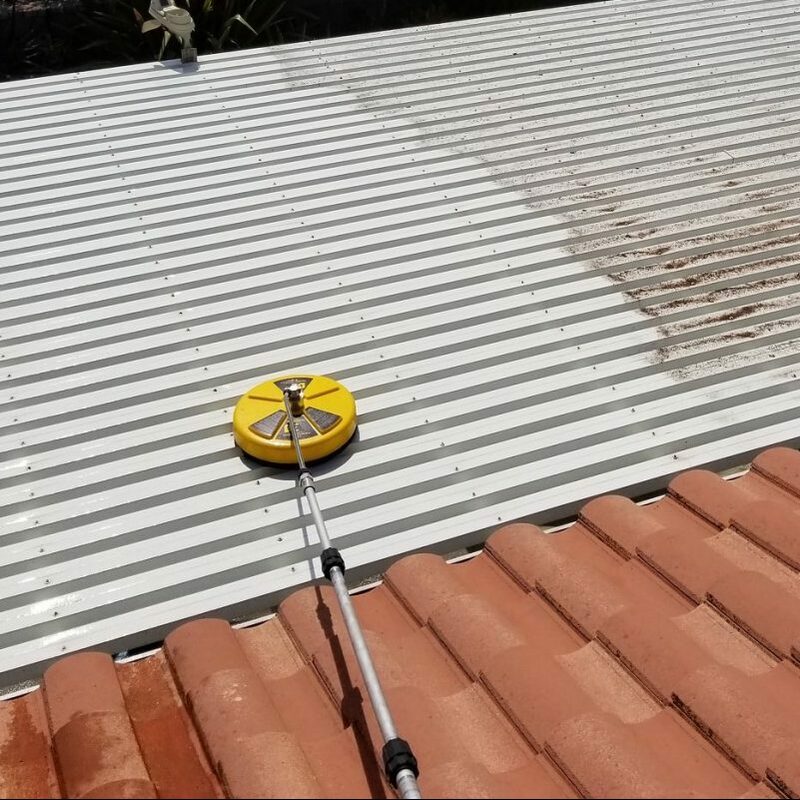 Traditional pressure washing is not a very efficient or effective way to clean concrete, which is why we use a power surface cleaner. You’ll see a deeper, more consistent clean when we’re done scrubbing the surface. 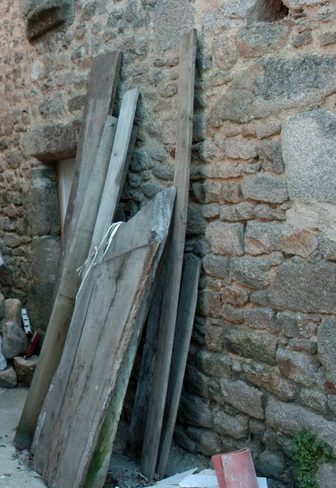 This technique can also be used on wood (if re-staining or painting), pergola and awnings and is eco-friendly as it uses less water and no emulsifiers. 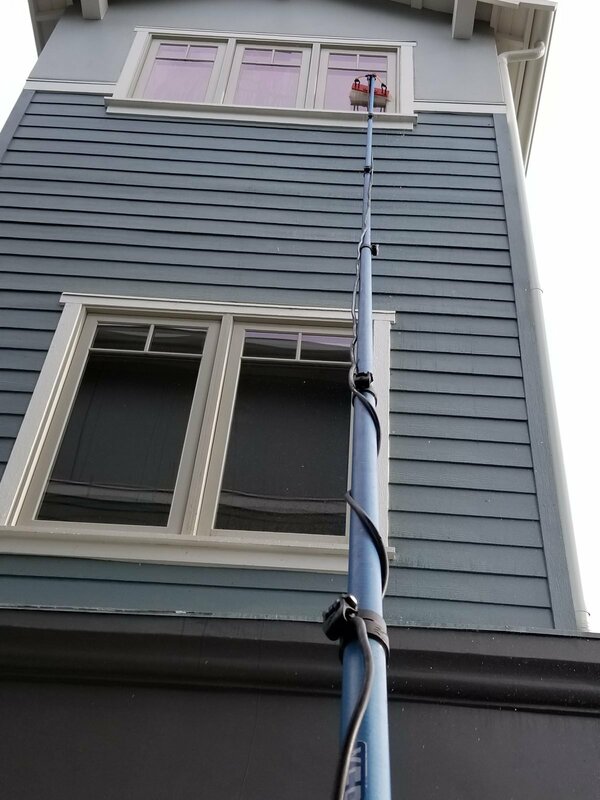 Pressure washing works great on stucco, siding, bricks, pavers,vinyl, aluminum & more. 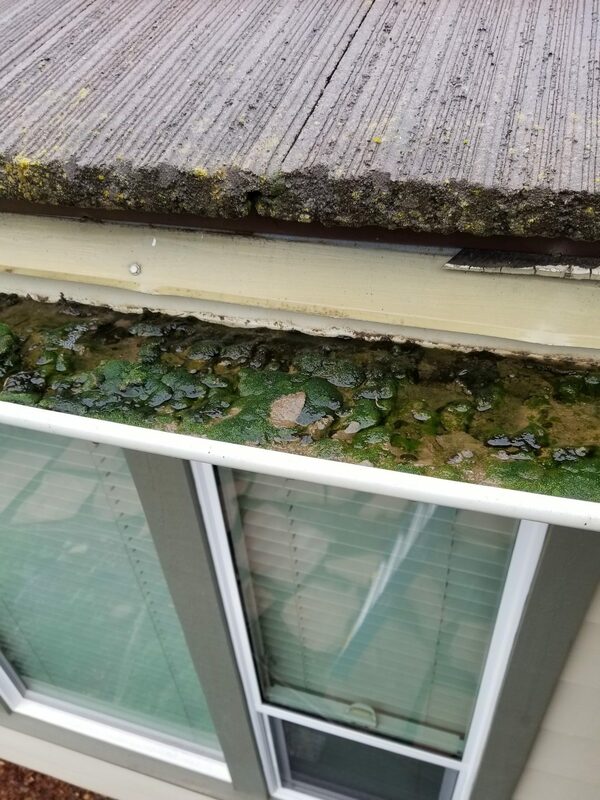 Regular maintenance, especially before the rainy season, can prevent sagging, standing water and overflow in your gutters, clogging of the downspouts, and mold build-up on and around your gutter, including your roof. Do you know what’s lurking in your gutter? 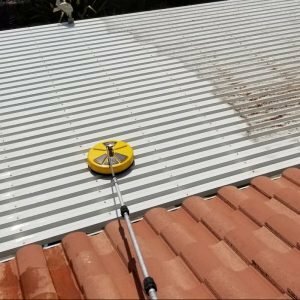 To protect your roof from mold, mildew and bacteria, we can effectively wash concrete tile roofs. In California, bacteria is almost always the culprit for dark spots, and here on the Central Coast our damp weather can often lead to mold. Our chemical products not only eliminate the problem, it will prevent future growth for longer than a pressure wash alone. Because products get washed away into our environment, the thegermicide, tuberculocide, fungicide, viricide and disinfectant are all eco-and landscape-friendly. 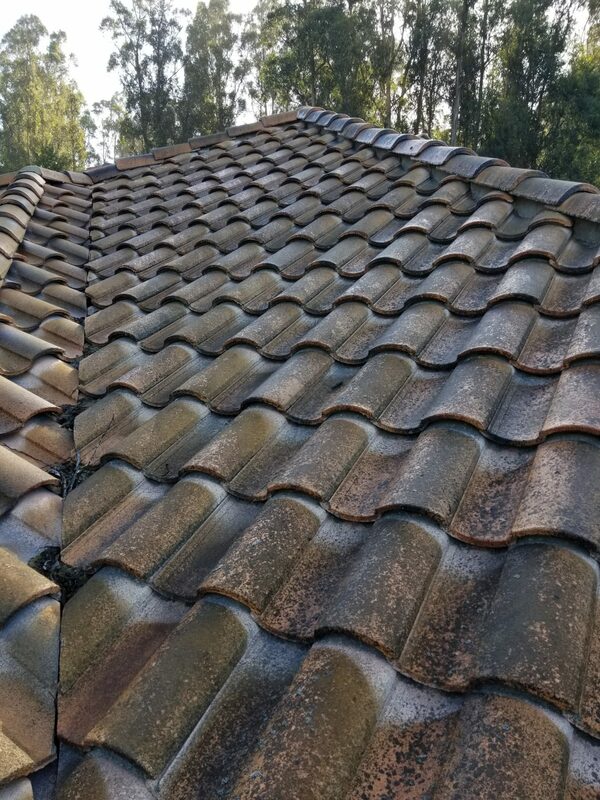 We will soon be able to offer a chemical “soft” wash that uses less pressure and is safe for all other types of roofing material. 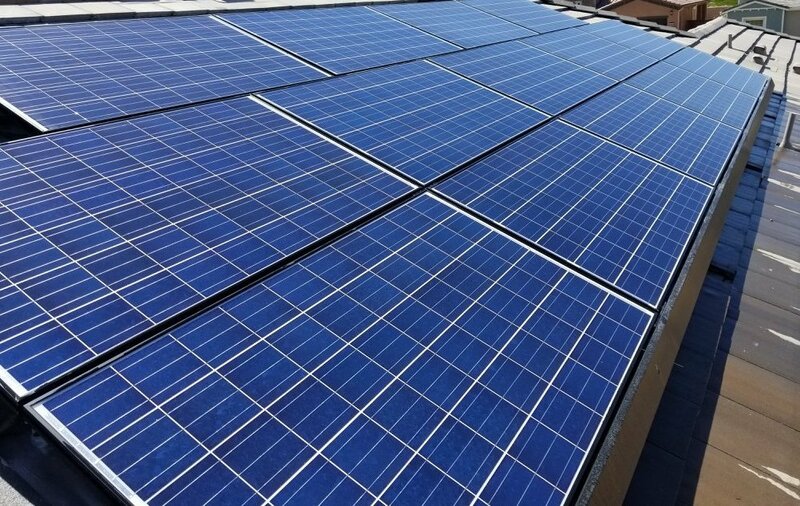 Hard water, dirt and grime reduce the efficiency of your solar panels by blocking the sun’s rays, which is why we recommend regular maintenance at least every 6 months to keep your solar panels working at maximum capacity. 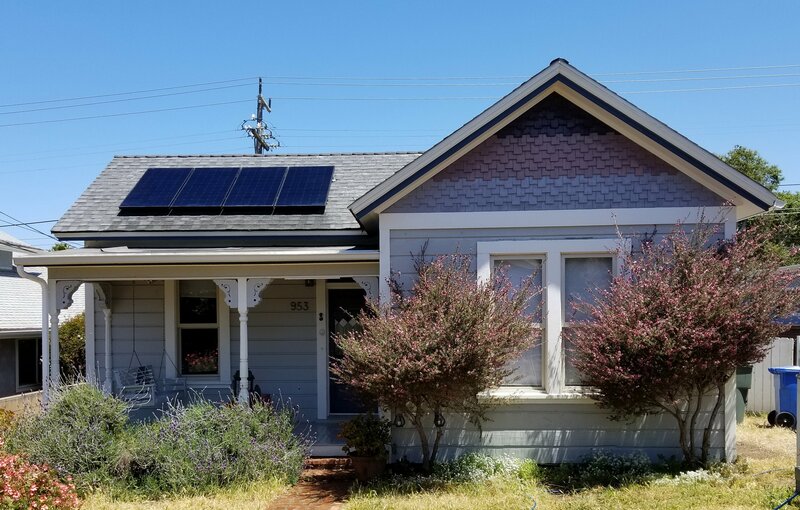 While cleaning, we will also check your solar panels for cracks, peeling of the laminate layers, and nesting of uninvited guests like birds, rats and possums. Big or Small – We do it All! Construction: Your project is finally complete; let us help you clean up the mess left behind!